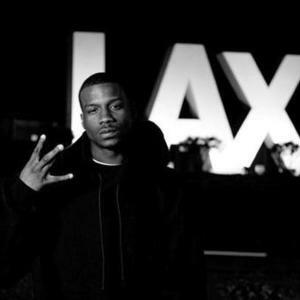 Johnny Reed McKinzie Jr. (born March 31, 1986 in Watts, Los Angeles, California), better known by his stage name Jay Rock, is an American rapper. He was named one of the top 13 most street artists by XXL. His voice has been called a cross between The Notorious B.I.G. and Shyne. He is a part of the rap group Black Hippy which also features Kendrick Lamar, ScHoolBoy Q and Ab-Soul. Rock signed to Strange Music and released his long-awaited debut studio album Follow Me Home on July 2011. Born and raised in Watts, Californias notorious Nickerson Gardens Projects, Jay Rock got his first encouragement from his music-making relatives, who noticed the impact his deep, melodic voice made on song after song. They were like, youre hard. And youve got a voice for it, too. Youve got a real cool voice to it, Jay Rock recalls: "A lot of people started hearing me and they would tell me that my voice catches them. So, I started working it, working on my craft and got more and more confidence." His rap name is inspired by a character off the hit Canadian comedy show Trailer Park Boys. LA will also appreciate the energetic California Soul, which details the treacherous reality of Californias streets. Game produced the record and he gave it to me. I met him at the studio about a week later and let him hear ithe went crazy! He liked it so much he recorded the hook on the spot. On the smooth Thats My Word, Jay Rock asserts his status as a man of his word, while To The Top documents his ascent from project resident to his present day successes. It was a struggle to get to where Im at now, he says. Im talking about going from the bottom to the top, what I was going through starting off. Im legal now. Im signed. I started off at the bottom, made something out of nothing and am going to run with it until I get all the way to the top. For now, though, Jay Rock is focused on recording his debut album and ushering in a new era of hard-core West Coast rap. Jay Rock is thankful that Comptons The Game was able to breakthrough with his multi platinum, The Documentary album. Game opened up the doors for a lot of people, Jay Rock says. Game opened the door and Im running right through with my people behind me. Were trying to bring it back home, bring the West back. Weve been down for a long time, so were trying to bring it back home. Jay Rocks legal struggles have made him appreciate what he has already accomplished, turning his childhood talent for writing into a career as a major-label recording artist. Getting signed and being from what Im from, thats a great achievement because nobodys really been signed from my projects, Jay Rock says: "Thats a big achievement for me. Its a blessing. It feels real good. I could be in the jail somewhere or in the grave, but Im right here doing what I need to do.